AD-17/B-110 is a wideband VHF discone omni antenna, operating over 30-110 MHz at up to 100 W CW power handling, ideal for portable tactical and fixed site use. 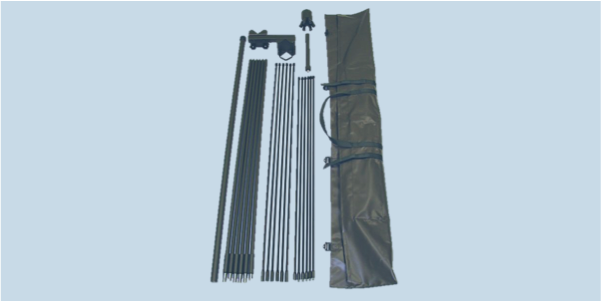 AD-17 is a discone wideband omni antenna, intended primarily for portable tactical use. The antenna is composed of a support head/hub with built-in line transformer where six disc elements, six cone elements, plus an omnidirectional plug in. Antenna elements are made of composite materials (epoxy/fiberglass), ensuring low weight and high strength. 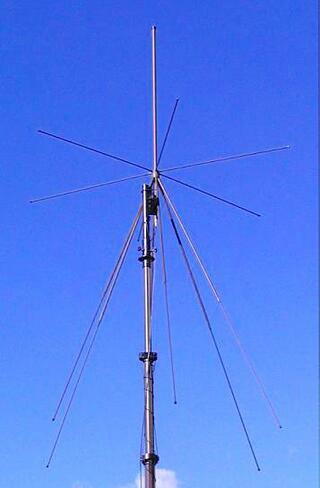 The antenna can also be used at fixed sites. All antenna parts are packed in a handy transportable canvas bag.